Methamphetamine is the most commonly reported drug that is being abused in Olathe and the epidemic continues to grow. Meth is so easily accessible to the citizens because of sales to the state from Mexican meth producing groups in the Southwestern United States and California. A portion of the meth supply is locally produced but it is more commonly imported. Meth is a drug that is known to lead to violent crimes, and research shows that violent crimes in Olathe are higher than other areas in the state that may not have been as affected. Most of the violence result from the production of meth in labs and meth lab seizures. If you live in Olathe, and have fallen victim to substance abuse don’t hesitate to seek treatment. There are enormous resources in at your disposal. Cocaine is also drug that of high quantity in Olathe. Much like meth, cocaine is primarily supplied to the state by illegal Mexican groups who run the industry along with local gangs. Cocaine is another drug that is closely associated with violent crime because the industry is so competitive and profitable within the state. Out of all the people in Olathe who are being treated for substance abuse, the highest proportion is being treated for a marijuana dependency. While this has not always been the case, the legalization of marijuana in nearby states like Colorado has increased the amount of the drug that are crossing state boarders. Since marijuana in legal states does not have to be grown in secret and may be regulated, it is a much higher quality than what is being grown in Kansas. This high-quality marijuana greatly contributed to the rising addiction and substance abuse. Olathe is the fourth largest city in the state of Kansas and is located in Johnson County. According to the official 2010 census, the total population in the city is 125, 872. The majority of the Olathe population is white and makes up 83.1% of the total population. 5.3% of the population is made up of African Americans, 0.4% is Native American, 4.1% is Asian, 0.1% are of the Pacific Islander race and 4.1% are made up of other races of a combination of two or more races. As of 2016, the median household income is $72,634 and the median family income is $82,747. Olathe law enforcement is making an active effort at ending the substance abuse epidemic within their city, and strict laws and penalties are helping them reach their goal. The possession of marijuana is a frequently punished crime, which makes sense since it is the most frequently treated drug. If a person is caught with up to 1oz of marijuana, they are charged with a misdemeanor and may receive anywhere from 6 months to 1 year in prison and fines up to $2,500. Any subsequent possession offense or the possession of more than 1oz of the drug face a felony charge that results in anywhere from 10 months to 3 ½ years in prison and up to $100,000 total in fines. This is also the punishment for the first offense of selling marijuana and the punishment of any subsequent sales charges will be determined by the court. The possession of marijuana within 1,000 feet of a school zone, regardless of the amount, results in 4-7 years in prison and up to $300,000 in fines. Driving under the influence of any drugs or alcohol is also another problem that Olathe law enforcement is working to eradicate. 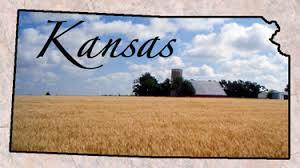 In the state of Kansas, a person can receive a DUI even if they are not operating a vehicle and can be charged simply by being inside the vehicle and in possession of the key. This is known as “attempting to operate a vehicle” in the eyes of the law. The punishment for a person’s first DUI charge is the least severe and can include 48 hours- 6 months in jail, up to $1,000 in fines and a suspended license for 30 days. A second offense can lead a person to 5 days to 12 months in prison, up to $1,750 in fines, a one year suspended license and they are required to install an ignition interlock device (IID) on their car. For a third and subsequent offense, a person could face 90 days to 1 year in prison, up to $2,500 in fines, up to one year suspended license and the instillation of and IID on their vehicle. If the person that was charged had a blood alcohol content (BAC) of .15 or more, their jail sentence is increased by another year. If a person refuses to take a chemical test at the time of their arrest, time will also be added to their sentence. Often times, friends and family members of the addict may recognize that an addict is struggling with a substance abuse problem before they do. In this case the support group may chose to host an intervention for the addict. The purpose of an intervention is to express the concerns about the addict’s lifestyle in a calm, organized way and encourage them to seek treatment. An intervention is not meant to attack the addict or belittle them about their shortcomings. An intervention could be informal and seem more like a conversation between the concerned individuals and the addict. Other kinds of interventions are more formal and could involve a counselor to help facilitate the meeting with an outside perspective. Regardless of the type of intervention the support group chooses, it may be helpful for them to plan what they want to say to the person ahead of time. Sometimes people choose to write the addict a letter and read it directly to them during the time of the intervention to make sure that they do not leave anything important out. It also may be a good idea for the support group to do research on different treatment options to present to the addict. This shows them that treatment is a realistic option for them and make the process significantly less overwhelming then if they were looking for this information on their own. They may also want to find a specific facility or program to present to the addict and maybe even contact the facility ahead of time. Once an addict admits that they are struggling with substance abuse and want to seek treatment, they will start with the intake process. At most facilities, the intake process begins with the addict speaking with an intake specialist and sharing some information about themselves. They may be asked questions about their addiction, previous health history and any prior treatment they may have received. They may also discuss payment and insurance information during this time, but that differs by each program. Patients will also undergo a physical assessment prior to beginning their treatment program. This is to make sure that they are healthy enough to undergo treatment, particularly the detox process. They are also looking for any physical ailments that the addiction made have as a result of the substance abuse. They will also conduct a mental health evaluation to look for co-occurring disorders that are commonly seen in addicts like depression, anxiety and schizophrenia. After their physical and mental health assessment, the patient will meet with their treatment team to discuss more about their program. This treatment team may include a counselor, psychiatrist and physician among others. They will work together to develop a treatment plan and goals that they hope to achieve during the time they are in the program. This is also an appropriate time for the patient to ask any questions about their program. Before the actual treatment can begin, patients must undergo a medical detox to cleanse their body of the substances they had been abusing. This is a crucial part of treatment because patients must be sober before they can start treating the underlying issues that led them to the substance to begin with. Detox can take anywhere from 3 to 10 days depending on the details and severity of the substance abuse and patients will likely experience symptoms of withdraw. Withdraw can be both physical and mentally exhausting on the patient, so private detox facilities are very beneficial. Nurses and other medical staff are also present during the entire process to ensure the patient’s health and safety. Some of the physical symptoms that a person may experience are nausea, vomiting, heart palpitations, uncontrollable twitching and flu symptoms among others. There are also many mental symptoms that are fairly common like anxiety, depression, insomnia and irritability. Other severe, more health-threatening symptoms that a patient may experience are seizures, strokes and heart attacks so it is extremely important that a patient goes through detox at a supervised facility rather than on their own. After completing detox, patients often move to inpatient treatment centers to learn how to maintain a sober life. In inpatient centers, patients live at the facility in safe, community settings on their own or with a roommate. Many people find this type of treatment beneficial because they are not tempted by access to any substances. While in inpatient treatment, patients attend daily group meetings and individual therapy sessions. In a lot of programs, the main focus of treatment is to address the underlying problems in a person’s life that led them to addiction and to retrain the brain not to associate negative feelings with the drug they were using. This retraining of the brain is typically done through Cognitive Behavioral Therapy (CBT) and teaches the patient to interlink positive coping mechanisms to negative feelings and events in their lives. They may also engage in other therapeutic activities like meditation, yoga and group outings. Inpatient Treatment can be short term and take place over a matter of 6-8 weeks or patients can be involved in a long-term program that can take up to a year to complete. Regardless of the length of the program, patients receive the same kind of full-time, quality care to help them reach sobriety. Following the completion of an inpatient treatment program, patients may supplement their independent living with an outpatient program. 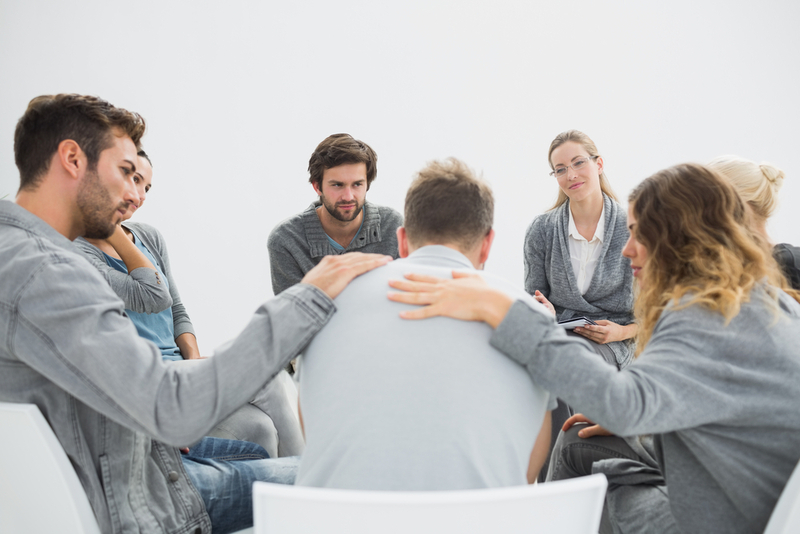 Outpatient programs typically meet once a week and can be individual or group centered. These programs typically focus on implementing important life strategies and coping mechanisms in their everyday lives. Some recovering addicts also find outpatient treatment can act as an accountability program to help keep them sober. Another benefit of outpatient treatment is that people can easily fit it into their schedules since it is usually only an hour or two every week. They also are more likely to live closer to the facility than they did in their inpatient program, so families can easily become involved in the treatment process if it is deemed appropriate. Another step that can act as accountability for a person’s sobriety is an aftercare program. Aftercare is different than an outpatient program because it does not necessarily need to be individual or group therapy. The only requirements that are needed to make something an aftercare program is that it is consistent and ongoing. These types programs are important to a recovering addict’s success because they provide them with support and resources once they finish their treatment programs. It also gives them the opportunity to meet with others who are recovering from addiction and work towards sobriety together. After a patient finishes their treatment programs, sometimes they need extra help transitioning to independent living. This is where sober living facilities are helpful. Sometimes called halfway houses, they offer free housing to those who are facing homelessness or risk addiction if they return to their previous homes. Unlike an inpatient center, residents of the sober living facility are not required to stay at the facility during the day. In fact, they are encouraged to work on reintegrating themselves into society by searching for a job and affordable housing. Sometimes residents of halfway houses maintain a part-time job and work towards saving money to eventually live on their own. There are some rules when it comes to living in a halfway house. First, residents have a curfew that they have to adhere to each night. This is in place to reduce the temptation of drug use or other risky behaviors that are more prevalent at night. They are also required to remain sober while they are residing in the sober living facility and must take random drug tests. Depending on the facility, residents may also be required to participate in group therapy sessions or other activities that promote positive life skills and other tools they will need to live fully independently.